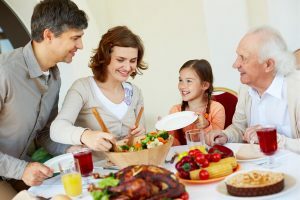 With Thanksgiving right around the corner, it’s time to start preparing for your family’s big feast! Before you indulge in your most beloved holiday foods this year, Dr. Alla Agamov reminds you to take some time to think about your dental health. Thanksgiving is certainly a time to enjoy delicious dishes, but some Thanksgiving foods can be harmful to your teeth. If you do notice tooth stains after Thanksgiving, contact Dr. Alla Agamov about our teeth whitening services. There’s no need to completely deprive yourself this Thanksgiving. But do keep in mind these suggestions for good and bad foods for your dental health. After all, you only get one set in life — keep them healthy!